or through it. The EVF is a failure. You cannothave an EVF that causes a lot of people to have problems with it. we can count 3-4 people (same ones) on dpreview... that is not a huge number of it. Do you count Richard Butler of DPR then, amongst your hysterical list of co-conspirators that you think are on an anti-GH3 crusade? 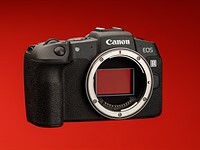 Are you blind to the fact that other published reviews have noted EVF deficiencies? PS: what other reviews ?